This is a brief military service. 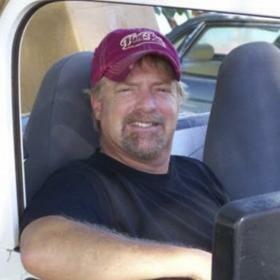 Ross J. Starkey, 56 of Thompsonville, died, Monday, January 15, 2018 surrounded by his loved ones. He was born on February 9, 1961 in Pontiac the son of Marlin Ross and Nancy (Hodges) Starkey. He proudly served in the U. S Navy for 8 years as an aviation electrician, and later as a Navy recruiter. Ross was an Electrician and proud member of the IBEW Local 498. He traveled all over the country working with the IBEW, and made friends with many brothers. He was a loving husband, father, papa and brother. He was very proud of his children and grandchildren. His summers included spending time with his son, Sam and grandson, Austin and teaching them to hunt and fish. He was thought of by many nieces and nephews as a father. 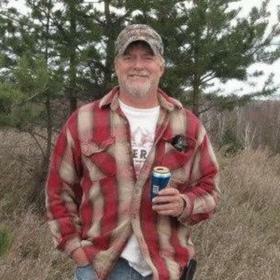 Ross enjoyed hunting, NASCAR, football and hockey, but was most passionate about spending time with all of his family. Most Sunday afternoons he could be found grilling his “famous” BBQ chicken, where everyone was invited. If you missed it -- it was “your loss”. Family sleepovers were the norm. If you stayed, you knew you were going to wake up to the best breakfast ever. No matter what he did, you could always find Ross having a good time. When asked if he had any regrets, he would say “no, because I’ve lived”. He leaves behind his wife, April; his children, Hollie, Benjamin, Abraham (Kayla) and Samuel; grandchildren, Austin and William; stepchildren, McKenzie and Trenton Sulak; step-grandchildren, Luke and Delaina; siblings, Robin Merchant; Rhonda Opus; Marlin Starkey and Rebecca (Rick) Kevwitch; numerous nieces and nephews; and his beloved Daschund Annie – aka Little Sister. Ross was preceded in death by his parents and son, Jacob Ross. An informal gathering will be held 1pm to 4:30 pm, Saturday, January 20, 2018 at Life Story Funeral Home, Traverse City. A brief military honor ceremony will be held at 4:30 pm. Memorial contributions may be made to help April with expenses at https://www.youcaring.com/rossstarkey-1062277. A complete obituary will be in Friday’s edition of the Record Eagle. Please visit www.lifestorytc.com to sign the guest book and share your thoughts with the family.